The Catholic Church has for some years encouraged its members to engage in the online digital space, but how effective is the use of social media in advancing social justice issues, asks Fiona Basile. Source: Catholic Social Services Victoria. In a recent forum hosted by Catholic Social Services Victoria, 20 representatives from member and affiliated organisations gathered to discuss more deeply the impact of social media and information technology, particularly within the context of their work in social justice. How effective is the use of social media in advancing social justice issues? How can we use social media and information technology to enhance our work in serving vulnerable and marginalised people? How do we encourage and facilitate moments of encounter, understanding and solidarity? In addressing these questions, the group looked at the impact of social media and information technology, identifying the strengths and weaknesses, exploring the opportunities for what’s possible if social media is used well and shedding light on the potential threats. Given the broad nature of these questions, they were explored within the context of Catholic social services and the role of its members in being a living sign of the Gospel message – serving with love, the most vulnerable and marginalised members of the community locally, nationally and internationally. 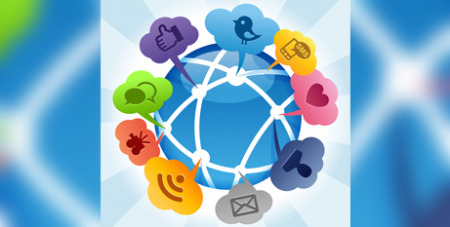 Those gathered spoke of the way in which social media and the Internet had increased their ability to network and connect with like-minded organisations and groups of people across the world. Social media and information technology has also increased the ability to give a voice to those who might otherwise remain silent and forgotten. The nature of social media as “a double-edged sword” was also discussed. Where social media can provide a platform for increased diversity of voices, for increased collaboration and knowledge, similarly it has provided a space for people to increasingly abuse, “troll” and cause hatred and division. The ability for nuance and tone in conversation, the opportunity to engage in serious listening and calm dialogue, and the ability to discern what is true or false as opposed to opinion seem to be fast-diminishing traits of social media usage.